There’s a constant cacophony bounding from a trio of iPods inside Tom Beaudoin’s home. His 10-year-old daughter prefers the pop of Katy Perry, Lady Gaga and Fifth Harmony. His wife, a psychotherapist, is fond of show tunes. “And I’m playing Kiss,” said Beaudoin, an associate professor of theology in the Graduate School of Religion and Religious Education. It’s been that way for him since adolescence: That hard rock band’s maiden effort was the first record he ever owned. But it was hearing the Canadian band Rush’s bassist, Geddy Lee, on the radio that forever transformed him. 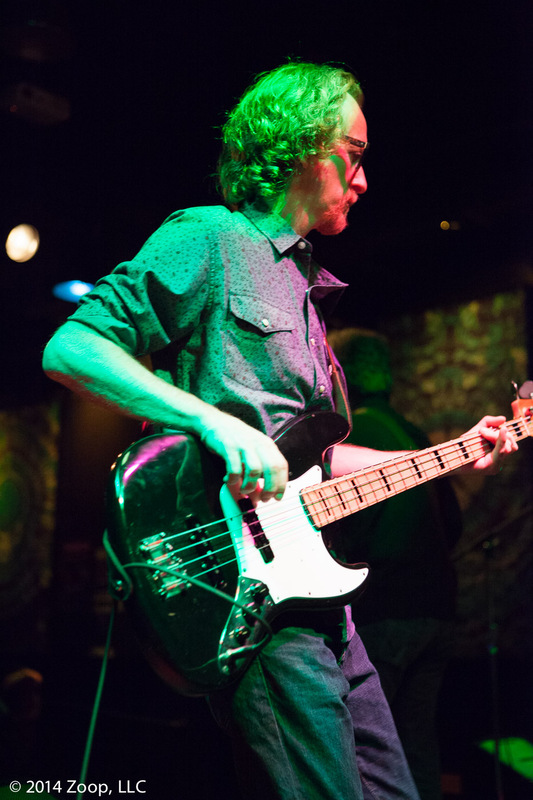 Beaudoin, among whose main research interests is the intersection of theology and popular music, has been playing bass in rock ‘n’ roll bands since he was 16. “There’s some kind of nourishment and energizing and truth that’s coming through the bass in a way that’s true of no other instrument for me,” he said in a Midtown bar on a recent Friday, before heading off to see U2 at Madison Square Garden. 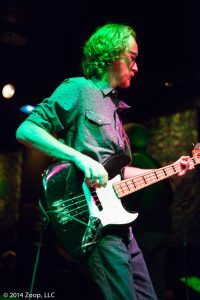 Beaudoin has been the bassist in the band The Raina for about four years, gigging in New York, Pennsylvania, New Jersey, and Beaudoin’s hometown of Hastings-on-Hudson. For him, playing rock ‘n’ roll, particularly within an ensemble that’s cultivated a near-instinctive understanding, can approach the transcendent. “The creative vulnerability and energy and the solidarity about this kind of communal surrender to the music is still extraordinary and I’m still completely moved and compelled by that,” he said. The Raina, while nominally a jam band, also plays propulsive, guitar-driven, straight-ahead rock ‘n’ roll. And although bass players’ main responsibilities are to provide the rhythmic backbone, Beaudoin’s instrument pours into the foreground. With splayed hand fingers plunking at the strings of his 1974 Fender Jazz bass–similar to his rock idol Lee’s favored instrument–Beaudoin generates, in his word, a “growly” tone. “The bass can be percussive but it’s also percussive in a note-rich way. You can do that, sit kind of lovingly under everything, or you can do that in a way that’s propelling things forward and opening out,” he said. For a long time, Beaudoin did not talk about his identity as a rocker within the academy, and his bandmates heard little about his university life. “I didn’t mix them up,” he said of his avocations. He fully unveiled his rock ‘n’ roll cloak within academia about the same time he kick-started his “Rock and Theology” blog in 2009. His reticence to merge the two, though, can still prevail. Rock ‘n’ roll, though, has been a constant–and powerful–thread. Looking for and discovering ways to mesh those two worlds of rock and theolgy, though, has proved a revelatory journey.